Tremors are a-quaking throughout the PC industry, and the violent shake-up is turning former bedfellows into bitter rivals. Over the past year, PC makers have been vocally complaining about Microsoft's recent decisions, and what's more, virtually every manufacturer has put their money where their mouths are, turning to the open arms of Android and Chromebooks in ever-increasing numbers. While you can point a finger at the ho-hum response to Windows 8 or the confusion swirling around Windows RT, no-nonsense comments from Hewlett-Packard CEO Meg Whitman on Wednesday drove home a much deeper-rooted trust issue: PC manufacturers are still fuming over Microsoft's decision to introduce the Surface tablet and compete directly against their hardware partners. But don't take my word for it. Here's what the manufacturers are saying about Surface, straight from the horse's mouth, along with samples of each company's 'diversification' efforts in the wake of Microsoft's tablet. HP's Slatebook x2 hybrid runs Android 4.2. "Current long-term HP partners, like Intel and Microsoft, are increasingly becoming outright competitors." No, HP doesn't like the Surface—nor, apparently, Intel efforts like the itty-bitty 'Next Unit of Computing' desktop—crowding its turf. Somewhat ironically, Todd Bradley, the head of HP's PC division, told Citeworld in November that he didn't really consider the Surface 'competition,' per se, slapping the tablet with a verbal backhand. 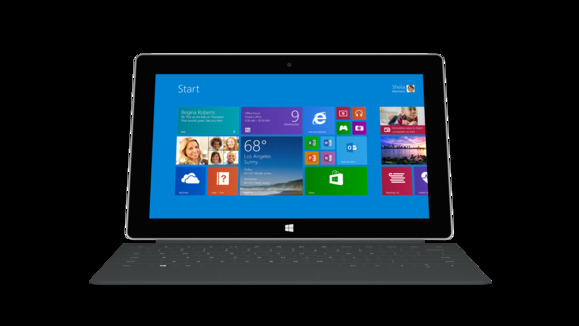 "I'd hardly call Surface competition… It tends to be slow and a little kludgey as you use it .... It's expensive." Whitman's comments just a day after HP announced the $279 Chromebook 11, the smaller cousin to HP's Google-powered Chromebook 14 laptop. And in August, the company released the Slatebook x2, a hybrid laptop- slash-tablet running Android Jelly Bean. Acer plans to introduce several Android-based all-in-one PCs like its N3-220 prototype. If you thought Whitman was blunt, you haven't heard what Acer has been saying about the Surface since Microsoft's tablet was announced. "We have said [to Microsoft] think it over. Think twice. It will create a huge negative impact for the ecosystem and other brands may take a negative reaction. It is not something you are good at so please think twice." He wasn't joking: Acer delayed its plans for a Windows RT tablet rather than compete with Microsoft's Surface RT directly. This Wednesday, however, Acer announced a new Chromebook of its own, and the company has bet big on Android-powered PCs. Lenovo's ThinkPad X131e Chromebook has Intel inside, but not Windows. "They (Microsoft) are strong in the software, but I don't believe they can provide the best hardware in the world. Lenovo can… Although we don't like Microsoft providing the hardware, but even though they are starting this hardware business, we think for us that just adds one more competitor… We are still confident in ourselves. We are providing much better hardware than our competitors including Microsoft." Yuanqing may have been onto something; in the months since, Lenovo became the most popular PC maker in the world, while Microsoft had to write off nearly $1 billion due to poor Surface sales. Even so, Lenovo released a Chromebook in January and is preparing to launch a Droidbook. Dell offers a developer edition of its XPS 13 Ultrabook that ships with Ubuntu Linux. "We think Microsoft is trying to build the market, so we think it's great. They are just trying to generate more excitement. Google did its own devices for Android, so I think it's kind of the same thing." Dell didn't take the Microsoft's tablet threat laying down, though. Earlier this month, the company announced the Venue 11 Pro , a Windows 8 tablet with a suspiciously Surface-esque keyboard case and its own docking station. 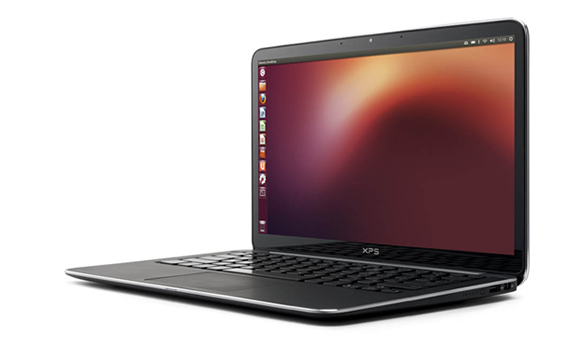 Dell has actually remained a steadfast supporter of Windows by and large, though it has recently expanded into Android tablets and the Ubuntu Linux-powered XPS 13 Developer Edition notebook, which remains more of a curiosity than a mainstream offering. "It became hard to guarantee a uniform quality of experience that the end user had… One of the big challenges that the company faced in the last couple of years was just the question of, would there be a very high quality physical device that would go up against Apple?" "…our Surface devices will compete with products made by our OEM partners, which may affect their commitment to our platform." Indeed it may, Microsoft. Indeed it may. I'll leave you with one final word to wrap up this saga: Microsoft's next-gen Surface 2 and Surface Pro 2 tablets are slated to launch on October 22.